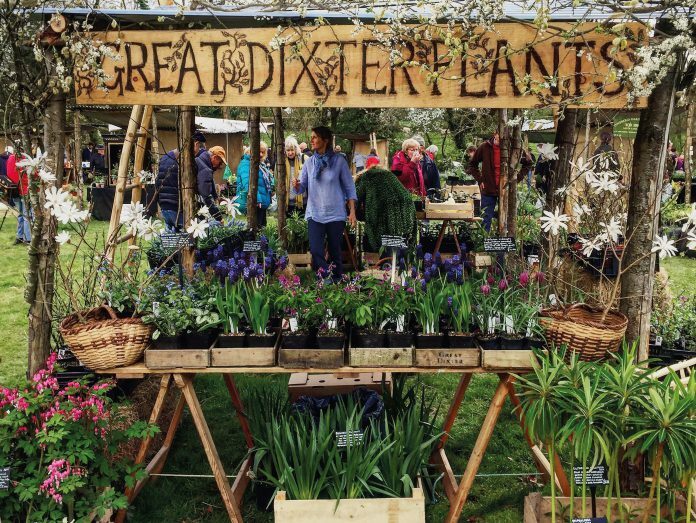 Spring plants such as the primrose, the primula auricula, the viola and the epimedium, will be in flower and on sale at Great Dixter Spring Plant Fair over the weekend of April 6 and 7. The fair is open from 11am to 4pm, entrance is £10 to include garden entry. Great Dixter House and Garden, which are in Northiam, will also be open to visitors. Along with the best sweet peas, the most exclusive peony, the incredibly unusual culinary herbs, more, much more will be available to buy from more than 20 top nurserymen. Some of them will also be giving short talks at their stalls throughout both days. Refreshments will be tasty and home-made as usual, including appetising cake and cooked local sausage in a roll. Dogs galore are welcome in the Plant Fair field and car parks at the bottom of the site, where there will be stewards to direct and help park as it will be very busy. Image Credits: Courtesy of Great Dixter.